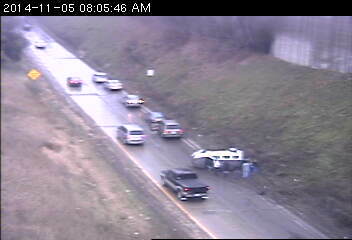 This motorist lost it on the ramp from northbound Hwy. 280 to eastbound Hwy. 36 in Roseville. No word on any injuries at this point. Other crashes to be wary of include eastbound 94 at 101st Avenue in Maple Grove and eastbound 394 at Bushaway Road. Look out for a stall on southbound Hwy. 100 at Cedar Lake Road in St. Louis Park.